A list of resources for anyone interested in keeping tarantulas. Arachnoboards A forum for those who keep tarantulas and other inverts. An amazing place to go for current information and to interact with all levels of tarantula keepers. Personally, I spend many hours a week on this board as the amount of information to be found on it is truly staggering. Spiders, Calgary A website by THE TARANTULA KEEPER’S GUIDE author Stanley Schultz. 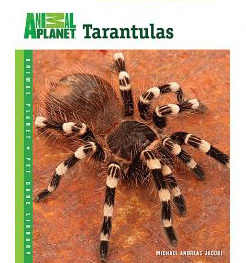 An amazing resource for aspiring tarantula keepers. Tarantula Forum A very beginner-friendly forum for those interested in tarantulas. Those intimidated by Arachnoboards would do well to check out this site. 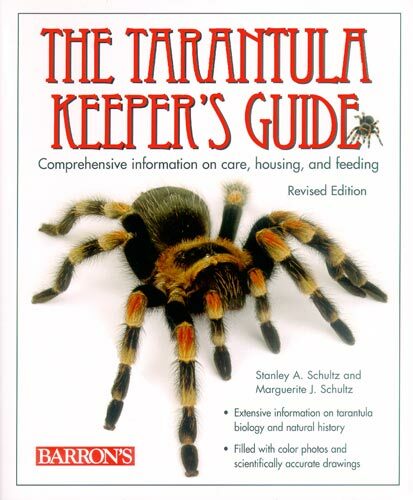 THE TARANTULA KEEPER’S GUIDE by Stanley L. Schultz and Marguerite J. Schultz – Considered by many to be the tarantula keeper’s bible. 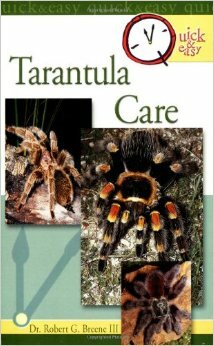 A must own for tarantula keepers novice to advanced. This book contains everything from basic husbandry to breeding techniques. Before you buy your first T, do yourself a favor and read this book. 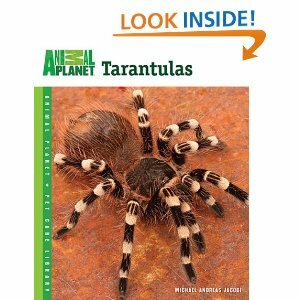 TARANTULAS (Animal Planet Pet Care Library) by Michael Andreas Jacobi – An excellent, very accessible book on tarantula husbandry. A great read for someone new to the hobby. Available in Trade Paperback and Digital editions. (Signed copies are available from the author’s website). QUICK AND EASY TARANTULA CARE by Jerry G. Walls – As the title insinuates, this is a very quick read, but the amount of useful information packed into this tiny volume is fantastic. For those who don’t have to time to slog through tons of information, this is the book for you. 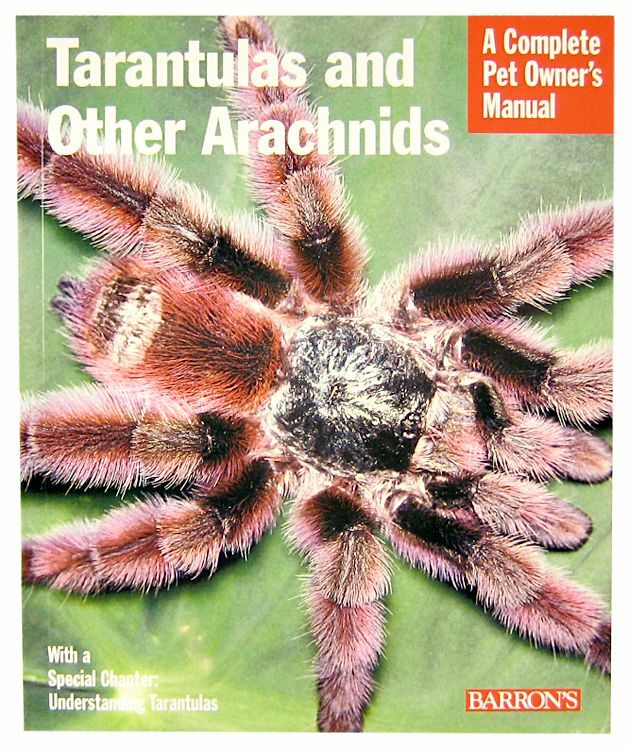 TARANTULAS AND OTHER ARACHNIDS (Barron’s Complete Pet Owner’s Manuals) by Samuel D. Marshall – TARANTULAS AND OTHER ARACHNIDS (Barron’s Complete Pet Owner’s Manuals) by Samuel D. Marshall – An informative and straight-forward guide for the beginner. This easy-to-read volume contains a lot of great basic care tips, but use of common names makes it difficult to take seriously at time. A good add on book if you’ve already purchased one of the ones listed above. Fear Not Tarantulas has an amazing selection, great prices, and the best customer service I’ve experienced. The owner, Tanya, is fantastically knowledgeable and friendly, and beginners will find her very helpful. I highly recommend Fear Not to any hobbyist. Jamies one stop shopping convenience (she sells feeder roaches as well as enclosures for all sizes of Ts), LAG shipping for under $20, and great customer service make her my favorite dealer. Anastasia has an amazing selection of tarantulas, including many rare and hard-to-find species. Her customer service is excellent as well. Ken offers an excellent and ever-changing selection of tarantulas in many different sizes. Swifts has been a trusted dealer for years for serious hobbyists. His selection and pricing are excellent, and his packing is legendary. Dawn is very approachable,, understanding, and always willing to offer advice or help. She also builds and sells tanks from ReptiLedge with an optional of free setup, sells substrate and other decor, she has a very large list of available animals for really great deals. Amanda is friendly and approachable. She has a good selection and always offers amazing deals. Hi Tom. I have a female Insubtilis. She is about 4 inches across. Her age is unknown. I bought her from a shop where she had lived for about two years. I’ve only had her about 3 weeks now. She is very timid – lifting and pulling her legs up to cover her body when disturbed. She never kicks or acts aggressive. Her legs are either pulled in or almost limp if I hold her. She rests her underside on my hand rather than holding a normal tarantula stance. I have a rose, a curly hair and a smithi as well and she acts nothing like the others. Just curious what your thoughts are. First off, let me say that I’m very jealous of your girl. I had a juvenile A. insubtilis that passed away after showing DKS symptoms, and I’ve been on the hunt for a new one every since. I would LOVE to have a female. Those who keep this species usually report that they are quite docile, especially compared to other species in this genus, so I’m not surprised that she tolerates handling. However, her behaviors do sound a bit “off”. Tarantulas usually lift their legs up over their bodies when they are stressed or “scared”, and that could be what you’re seeing when you hold her. It’s quite possible that she hasn’t settled in yet. I’ve had a couple Ts take a month or more before they’ve become comfortable in their new enclosures. During this adjustment period they’ve basically cowered at the slightest disturbance and wandered their cage until they either adopted a hide or made a home of their own by burrowing or webbing. If you don’t mind, could I ask a couple questions? First, what was her care like in the pet shop you acquired her from? Perhaps their husbandry was fine, but Pet stores are notorious for their poor care of tarantulas. Two years is a long time for a T to tolerate sub-par care. This is a fast growing species, and I’m kind of surprised that she’s only 4″ after at least two years (they can get between 6 and 7″). Is she captive bread or was she wild caught? How are you currently keeping her? What is the setup like? Does she have a hide, or does she refuse to use it? What substrate do you have? Is it dry or moist? Has she eaten while in your care? Also, I would LOVE to see a picture of her! I read you blog post about your Insubtilis. So sad. My other Ts went through an adjustment period, but rather than being scared they were very defensive. My smithi was down right aggressive. As for Tilley, she is very likely larger than my estimate. I haven’t actually measured her yet. She was given to the shop by her prior owner. I am not sure why or how long that person had had her. She was kept in a rather small square box on the bottom shelf of the display case. The shop did bi weekly feedings. I’m not sure how good of an eater she was for them. When I held her at the shop she was more lively – still very docile. With me she has eaten once. She is in a ten gallon tank with eco earth substrate. It is dry. She hates moist substrate. It was a bit moist initially and she kicked it away in one spot so she could stand on the glass bottom. She has a dome shaped hide that she has reinforced with substrate webbing. She spends about 99% of her time in her hide. In the photos, she looks to be in very good shape. Her abdomen is nice and plump, and she definitely doesn’t appear to be a hair-kicker. Bi-weekly feedings is really not often enough for a quick growing, good-feeding species like this (that would be an okay schedule for a rosie). If she’s eaten once, that’s good; I’m always worried about my new acquisitions until they have their first meal. Have you only attempted to feed her once, or did she refuse food on other attempts? If she’s using and altering her hide, that means she’s settling in. It sounds to me that she is probably a very docile girl whose still getting used to her new surroundings. That ten gallon tank is probably much larger than what she had previously, and she is going to have to get used to all of that new territory. Perhaps forgo handling for a bit, feed her a couple more times, and see if her behavior changes? I had an L. parahybana female once that took a couple months and a molt before she stopped cowering in the corner of her enclosure. Some Ts just take more time than others. Just a thought. Also, is it possible that she is in premolt? In one of the photos, her abdomen looked dark. If she’s in premolt, that might explain some of her behavior as well. I do know how you feel. I bought a juvenile female Aphonopelma schmidti last year, and that little girl caused me so much stress. For a couple weeks, she cowered in the corner of her enclosure with her knees pulled up over her body. Any crickets I offered, she would run away from. Eventually, she adopted a cork bark hide I provided and dug a burrow beneath it. From that point on, she stayed in her burrow, never coming out. I offered live crikets, mealworms, freshly killed crickets, and dubia roaches. She didn’t eat any of them, and anything put in live would scare the heck out of her. She finally buried herself for most of the winter, and I thought for sure I would lose her. When she finally emerged in the spring, she still refused to eat. Finally, she molted and everything changed. She started staying above ground, and she attacked anything I dropped in with enthusiasm. She’s molted twice since then, and she’s now one of my best eaters (not to mention, a much braver and active spider). Although I’m sure that you’ll continue to worry – it’s only natural – just know that it may all turn out okay.